C&IT will unveil the 2010 Hot List at Altitude London's River Room on 30 September. The C&IT Hot List 2010 celebrates the best UK and overseas venues, destinations and suppliers in the events industry, as voted for by C&IT's readers. Categories include Top Conference Destination, Top Incentive Destination, Best Unusual Venue, Top DMC and Best Sustainable Venue. The full set of results will be published in the October issue of C&IT. 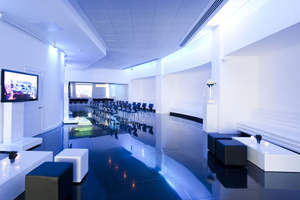 The Hot List party will be hosted at the River Room, part of the Altitude London Riverside venue complex, which also includes Altitude 360, the Millbank Media Centre and the View Studios.